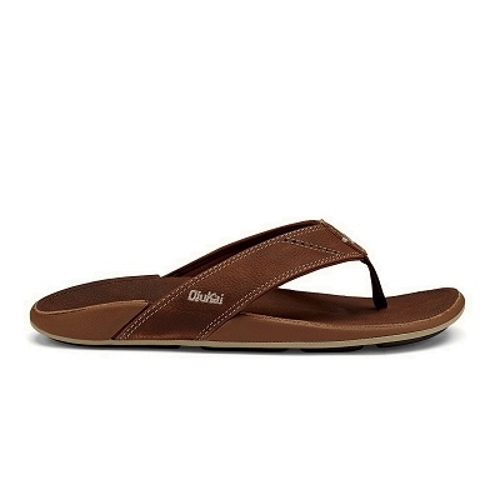 OLUKAI. 10239-SKSK. NUI. RUM.Decorative stitching on footbed hand-sewn whipstitching soft nylon toe post embroidered logo.